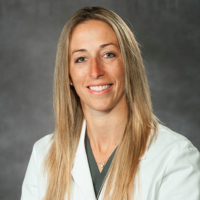 Lindsay Taylor, M.D., RDMS, RDCS, RVT is an Assistant Professor at Virginia Commonwealth University Hospital Center in Richmond, Virginia were she completed an ultrasound fellowship and stayed on as faculty. She did her residency training in Emergency Medicine at Detroit Medical Center - Sinai Grace Hospital in Detroit, Michigan. Her interests are in clinical and critical care ultrasound, trauma, global health, and education.